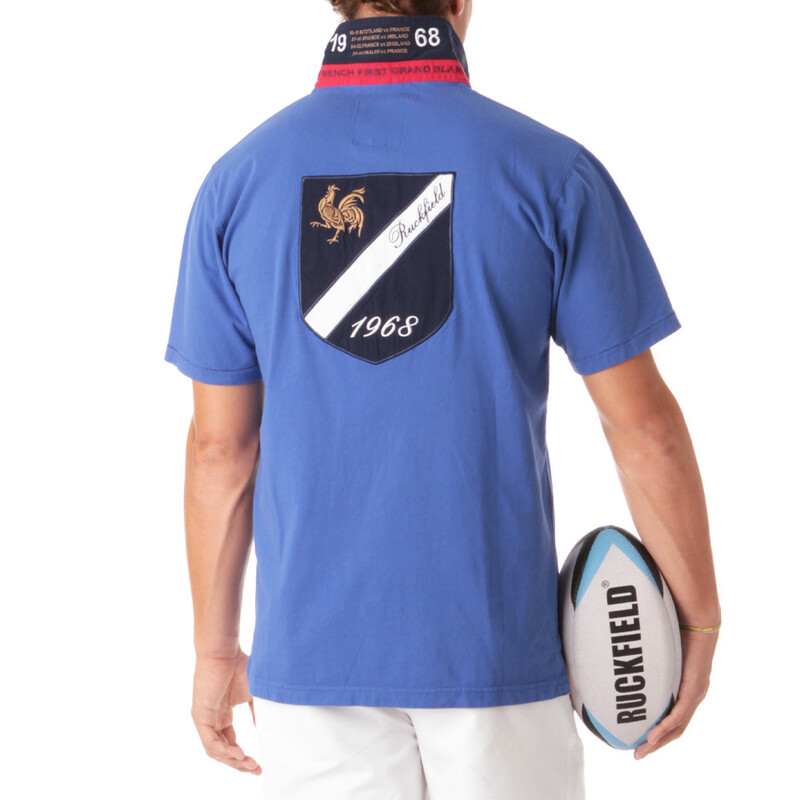 100% cotton, short-sleeve, blue rugby polo shirt for men. 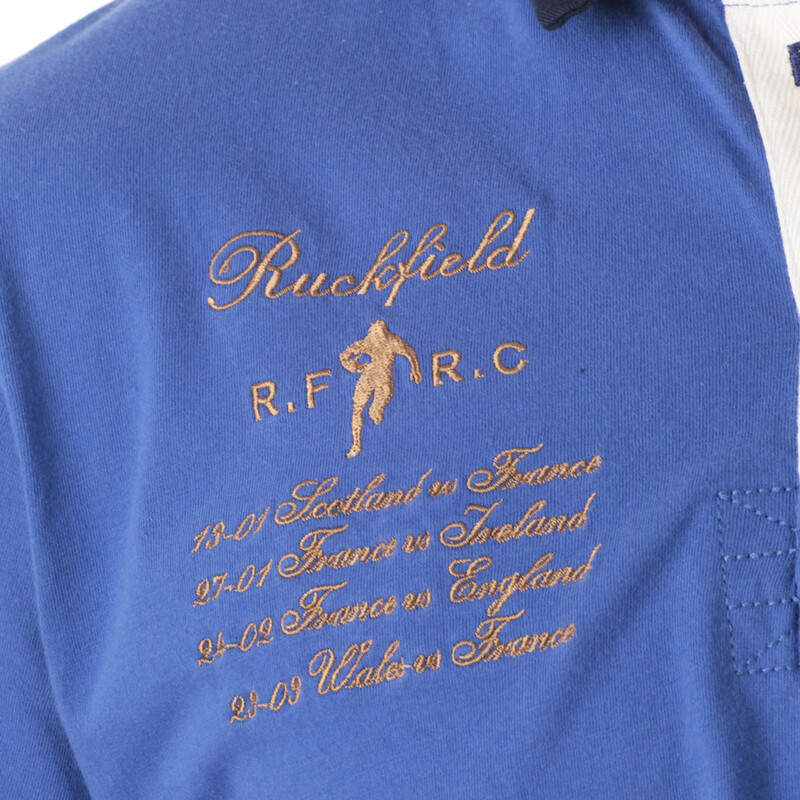 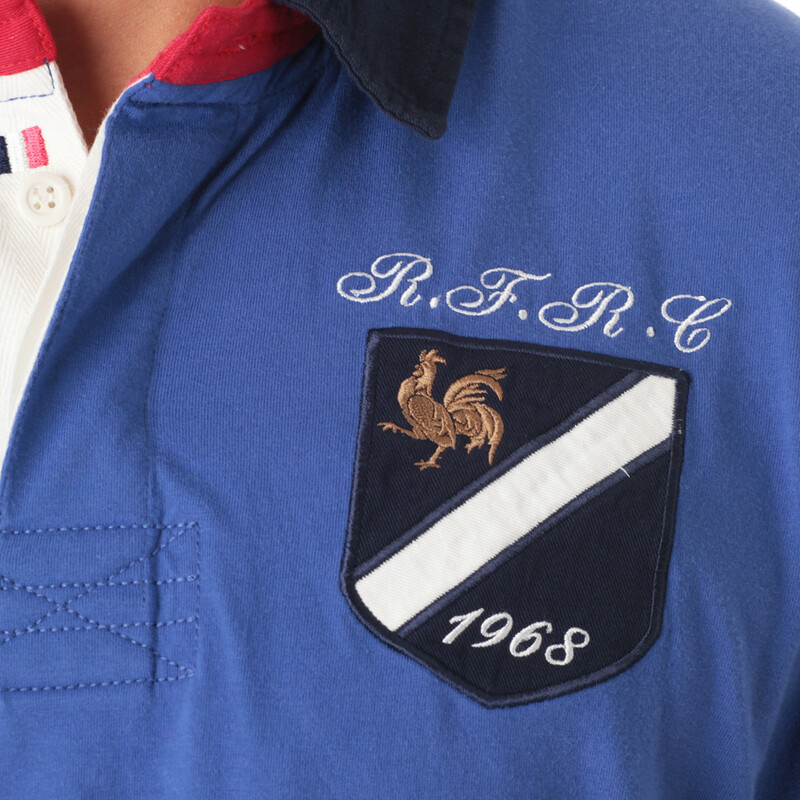 100% cotton, short-sleeve blue rugby polo shirt. 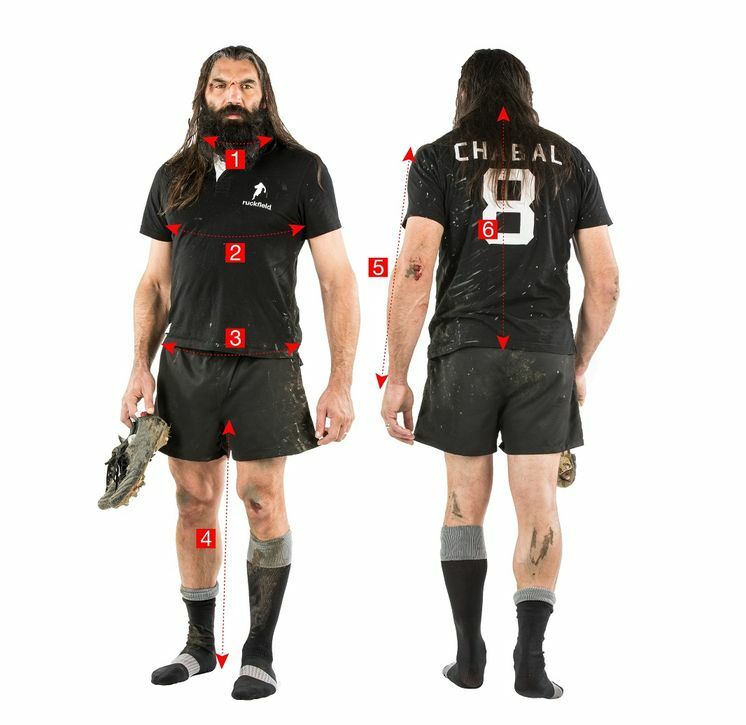 Sébastien Chabal's outline embroidered and badges on the chest, back and wrong side of the collar. 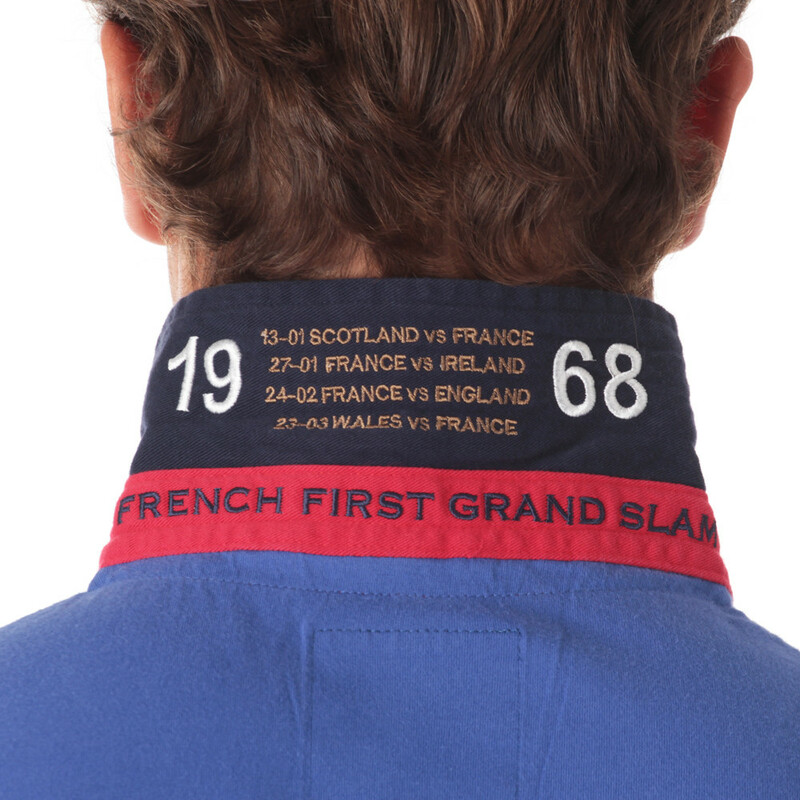 Red-contrasted inside of the collar. 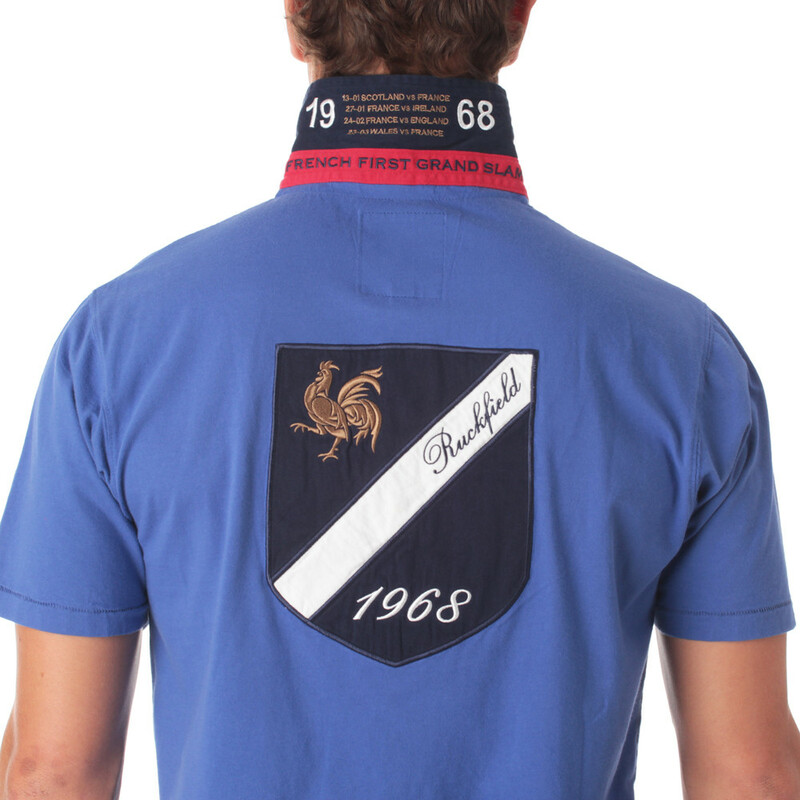 Available in big sizes (up to 5XL).